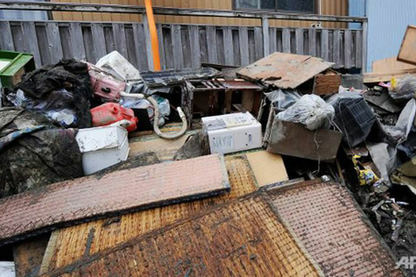 Rubbish Removal Melbourne - Quick & easy, same day, great prices! We take the dirt out of dirty, y? Call us now to find out! 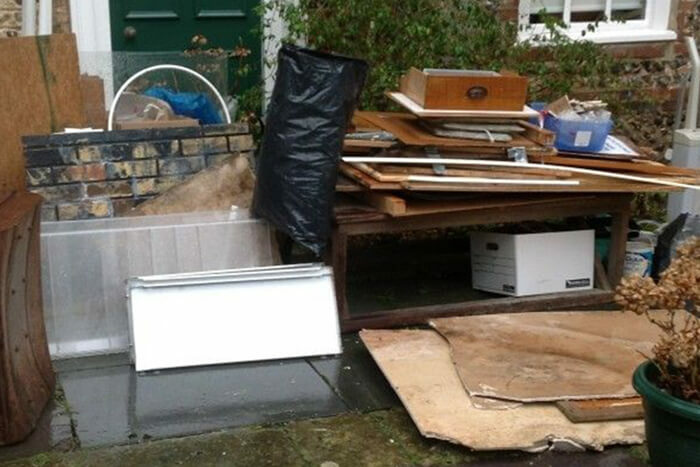 With years of experience helping people with rubbish solutions, we are the best and most reliable rubbish removal company servicing Carnegie and surrounding area’s. No job is too small and no project too large. 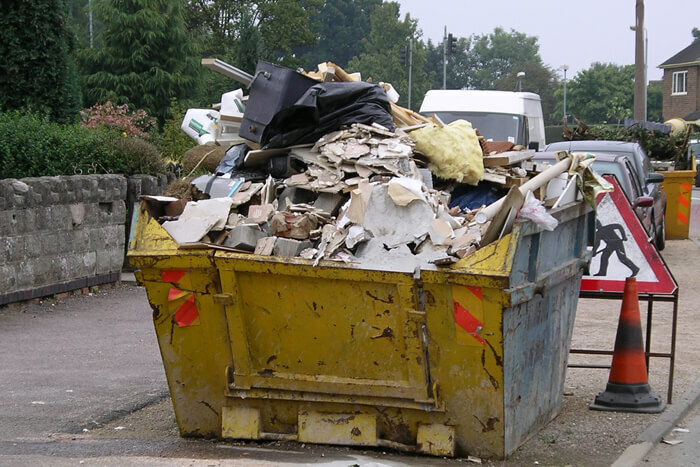 You can trust our friendly staff to help you with remove your rubbish efficiently and ethically. Regardless of if its plant matter, general house hold rubbish, a deceased estate, or a building site, please reach out and let us help. Rubbish needs to be disposed of properly and quickly or it can become a major environmental health issue. Removing rubbish from your property shouldn’t be a difficult task either, and thankfully it’s not with our help. Call us now on 03 8592 4776 for your free instant quote. ​We have all corners of Melbourne covered but the main areas focused on are Bentleigh, Carnegie, Caulfield, Chadstone, Elsternwick, Gardenvale, Glen Huntly, Hughesdale, McKinnon, Malvern, Murrumbeena, Oakleigh, Ormond. We’re the best in the whole South Eastern Suburbs! Finding a company in Australia you can trust to remove waste when it’s difficult to dispose of can be challenging. Whether it’s hard rubbish removal, deceased estate removals, green waste removal, garden rubbish, renovation rubbish, demolition & strip outs or builders waste removal, it’s hard to pin down that perfect rubbish removal service that will take care of all the waste produced by your project while leaving the work environment clean and tidy. Perhaps you’re replacing your white goods, such as a fridge, or bought a new lounge that you need to make room for. Maybe your house or garage is starting to get cluttered and it’s time to finally kick those odds and end to the curb. Regardless of the reason, disposing of this rubbish yourself can be cumbersome and needlessly difficult. Our experienced and trusted staff can solve this problem for you. Have a bunch of household junk eating up valuable space in your family room? Call us and get that load off your mind. We’re experts in commercial and industrial removal. No matter if it’s an office, retail or hospitality fit out, or factory hard rubbish removal, contact us now on 03 8592 4776 to get an instant quote. ​​We can help with trash removal of any building material such as concrete, timber, machine parts, pipes, sand/gravel, bricks, tiles and more, regardless of if you have a home project or you’re on a construction site. In addition to these premium services, we also offer office cleanouts and property management assistance. Call us now to schedule an appointment or to learn more about why we’re Australia’s go-to name for all things rubbish removal. 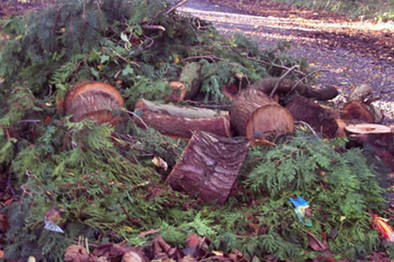 Bad weather can make a mess of your property, from fallen trees or branches to your annual Autumn leaf drop. Gardens can also get out of control if left unattended. When it’s time to get on track and have your home looking like its old self again, there is often a lot organic matter remaining that your bin just can’t handle. We excel at all form of rubbish removal and we’re quite ‘frond’ of helping people with their green waste. Don’t let your green thumb get in the way of a clean surrounding – we can handle your garden waste removal with no problems. We have a wide variety of robust skip bins in a range of shapes and sizes and offer free delivery and pick up. We can provide advice on the size you’ll need depending on your job requirements and difficulty of access. We can guide you on what can and can’t be put into a bin and provide alternatives where required. We understand it can be a sensitive time when a loved one has passed. Our friendly and considerate staff are ready to help you through this difficult time. Convenience – Think all that’s involved in going to the rubbish dump is tossing a pile of waste onto a truck and dumping it in a landfill? Think again. Moving this pile of junk requires the clearing out of items (a notoriously physically-intensive and slow process for anyone unused to manual labour) and organising them before the loading process begins onto a bin or truck; from there, the load must be brought to the dump in a series of trips to unload it. At this point you have lost days of profit and cherished time – but by hiring a company like us, convenience is redefined. Physically and Legally Safer Conditions – In all the years we have been doing this kind of work, we have seen residents make one of two very dangerous mistakes over and over again: They either assume they’re physically astute enough to move rubbish and waste themselves, or they think they can entrust the job to a formidably “buff” acquaintance that happens to own a large vehicle. From our experience, neither of these situations are ideal; you’ll either end up seriously injuring yourself or learn first-hand what kind of “friends” you really have. If you are looking for rubbish removal services in Australia, professional companies such as ours are the safest choice – bar none. A Value Proposition – When outsourcing rubbish removal services, Australian businesses and residents alike save money, as most companies offering such services go out of their way to keep prices low…and that’s what we sure do. Think of it like this: We offer rates low enough that you’ll end up spending less after hiring our rubbish removal company than you’d likely lose taking the time off to move the items yourself. What’s more, we always pay strict attention to the law, understanding what can safely be recycled or disposed of, and thereby protecting you from potentially sky-high fines. We’re experts at knowing what can be dumped and what is more economically viable – and environmentally-friendly – when it comes to recycling and repurposing. Recycling – We firmly believe the environment is important and should always be considered when disposing of rubbish. We recycle as much material as possible and stand by a high ethical standard for environmentally friendly solutions. Respect for Your Premises and Property – The days of having to settle for scratched and dented walls, chipped door frames and shuffling furniture, excess equipment and other items around the house or office due to the neglect of an outside rubbish removal company are over. We do our utmost best to leave your site appearing virtually spotless, without the need for senseless damage or leftover debris; when you work with our experts, the image exuded by your premises will be preserved. At the heart of any great business are the services and products offered, and in this area we do not disappoint. Whatever service you choose, you can be sure we will always offer you stress-free appointment-making, upfront pricing, flexible pickup schedules, quick waste removal, responsible disposal methods and a choice of popular payment methods.